The foreclosure process is a stressful one. Not only will you lose your home, you'll also suffer serious damage to your credit score. You might also lose any leftover funds in the escrow account you've created with your mortgage lender. That's if you even have any dollars remaining in this account after you've lost your home to foreclosure, which is unlikely. Many lenders require borrowers to create an escrow account when they take out a mortgage loan. You'll send extra money to your lender with each monthly mortgage payment. Your lender will place this money in an account and use the money to pay your property taxes and homeowners insurance bills on your behalf. This way, homeowners are also forced to save throughout the year -- with each monthly mortgage payment -- the money they need to cover these often hefty bills. When borrowers sign their mortgage papers, they give their lenders the right to take back their homes if they fail to make their mortgage payments on time. 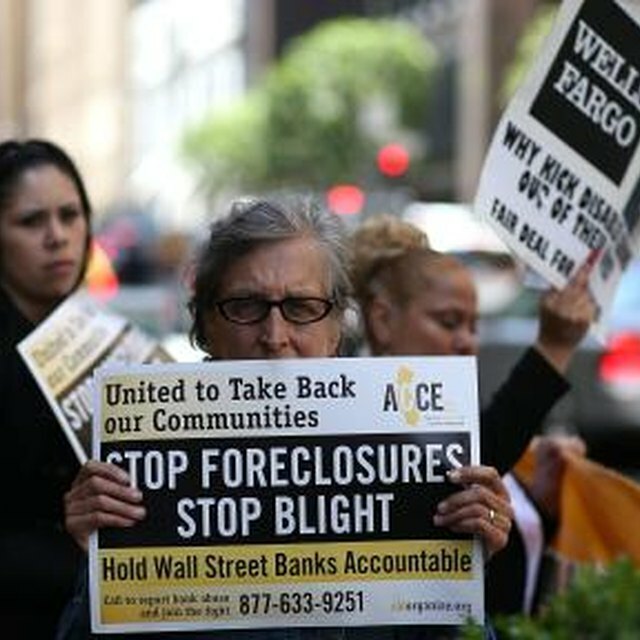 Through the foreclosure process, lenders repossess homes and evict their former owners. Lenders then try to sell these homes on the open market, hoping to recover their financial losses. Lenders will use any leftover funds in borrowers' escrow accounts to pay property taxes and homeowners insurance. That's because they can't legally sell foreclosed homes if these bills aren't paid. If there is money leftover after this, lenders will use it to reduce the mortgage debt that their borrowers still owe. The home's former owners, then, will not receive any escrow refund. Often in a foreclosure, homeowners have a shortfall in their escrow accounts. They haven't been paying their monthly mortgage bills so they also haven't been making their escrow payments. Often, an escrow account has a negative balance by the time of a foreclosure, so the question of whether former homeowners might receive a refund is moot.